Posterous, the simple blogging and note-sharing service bought by Twitter last year, will shut down at the end of April, the company has confirmed. The tool, which allowed users to post blogs to 'Spaces' via email but became more about private photo and note sharing as it evolved, was snapped up by Twitter for an undisclosed fee in March 2012. At the time Twitter had vowed to allow the Posterous team to continue working autonomously, as it attempted to build a challenge to the almighty Tumblr, but that challenge did not materialise. Posterous founder and CEO Sachin Agarwal confirmed Twitter's decision to shutter the service and its mobile apps in a statement posted on the company blog. He said the Posterous team will now be focussing on its work on other Twitter projects, which pretty much confirms that the original purchase was nothing more than a talent raid. Agarwal wrote: "Posterous launched in 2008. Our mission was to make it easier to share photos and connect with your social networks. Since joining Twitter almost one year ago, we've been able to continue that journey, building features to help you discover and share what's happening in the world – on an even larger scale. "On April 30, we will turn off posterous.com and our mobile apps in order to focus 100% of our efforts on Twitter. This means that as of April 30, Posterous Spaces will no longer be available either to view or to edit. "Right now and over the next couple months until April 30th, you can download all of your Posterous Spaces including your photos, videos, and documents." 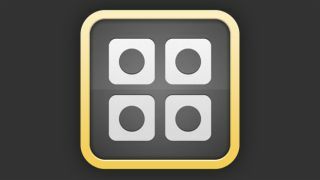 The post on the company blog goes on to detail how users can back up all of the items they're shared on Posterous pages. So long, Posterous. We hardly knew ye.